This strategic branding and design assignment project is about the branding and design of the Australia and New Zealand Banking Group and other the strategies of branding of other sectors which are explained in detail with the examples of the stakeholders that how they are affected by these branding strategies. Brand Strategy can be understood as the long term plans of the organization in order to achieve its specific goals. A brand strategy helps the brand to get established and to become more powerful than ever before. This project will help in developing the creative styles of developing and delivering the innovative branding strategies for the companies or the products. The project will be done keeping in view the Australia and New Zealand Banking Group which is also known as ANZ. It is one of the leading Australia bank and fourth largest in terms of market capitalisation. Its market capitalisation is of AUS$ 69.13 billion. The bank makes different strategies to become the most preferable bank by the customers and the most faithful one. A brand is a name, logo, symbol or slogan but it does not end over here, and it is much more than that. It helps the organization in interacting and connecting with the customers on everyday basis. Brand strategy is made for the company to give it a competitive position in the industry and to establish a long lasting image in the minds of the customers. It is used to acquire the customers and to make a good position in the market. Branding is not a new concept but it is new in the financial industry. The financial organizations are realizing that they need to manage their business too as the competition id growing high (Kotler, 2013). Launch of a new global brand: In 2009, ANZ launched its new brand identity which was to support the regional areas so that the bank can be region focused and people focused and the complications can be reduced. A research conducted by the bank to know the need of such brand formation. ANZ is a big brand in Australia which operates in around 32 countries and deal with around 19 languages. To deliver high quality of services and experience to the customers and to making banking simple it focuses on personalized baking and focus to provide special services to everyone like the retired people, small businessmen, large scale businesses, Asian customers, etc. All the customers are treated differently according to their needs. It focuses on how banks can care about the customers in the best possible way and make their life simpler than before (Karr, 2015). Customers (at the time of purchase): Customers will get personalized and customized services which makes easy for them to understand the procedures and services. It gives satisfaction to them. Investors (post purchase): The investors will get more returns investments on the success of the bank and customer satisfaction post purchase. Employees (pre-purchase): the employees have to learn more and have to make more efforts to get trained for such personalized services which will result in their development (ANZ, 2016). New Logo: A new logo is designed by ANZ bank to reflect it as a super regional bank. A new logo and brand represent that it is the bank for people. It cost $15 million to ANZ Bank and the tagline also made “We live in your world”. This is done to establish its foot in the markets of Asia like Vietnam, Cambodia and China. This is the sign of fragmentation of the bank’s business. This rebranding is done with an objective to put the people at first and in the heart of the organization and to provide them excellent experience whenever they visit bank. The three shapes in the new logo depicts the core markets of the ANZ bank which are Australia, New Zealand and Asia Pacific and in the centre the human shape is for the customers and the employees (news.co.au, 2009). This changed logo fulfills its aim of becoming a super regional bank and helps in making a strong presence in and across Australia, New Zealand and Asia pacific (news.co.au, 2009). Customers: The customers are at benefit as their expectations will be fulfilled by the bank during or after the transactions with the bank. This will also provide customer satisfaction to the customers as they will get high quality services, more ATM’s and simplified fee structure. The customers will get the customized services. The new logo and rebranding focus on satisfying the customers and deliver high standard of experience to them and understanding them in a better way than anyone else could so that banking can be made easy for them. Industry borrowers and educational institutions: The industry borrowers will be benefitted as they will get customized services as they need and special attention from the bank. The educational institutions also get help from the bank as the bank focus on the development of society as well. Commonwealth Bank branding strategy: the Commonwealth Bank of Australia is the leading bank of Australia which provides finance services to the customers. The bank is listed in the Australian Securities Exchange. The main motive of the bank is to provide maximum return to the shareholders. This banking group has its strong presence in other countries as well like in New Zealand, Indonesia, China, Vietnam, New York, Mumbai and many more. The bank and its foundation encourage community development through development in education, medical and technology. Commonwealth Bank of Australia focuses on its marketing for branding. The customers nowadays are expecting a lot from the banks and Commonwealth bank of Australia tries to meet this challenge by focusing on the latest technologies. It also focuses on making proper communication with the customers to know about their demands and expectations from the bank so the bank can fulfill it. Commonwealth bank of Australia has launched many innovative products and services for the customer in the recent years like it introduced cashless cards for the customers (CHRISTENSEN, 2014). Commonwealth bank of Australia has launched a brand repositioning strategy which was to leave the competitors behind in the market. A CAN campaign was introduced and a big question raised that could three letters ‘CAN’ can change the perception of the bank in the minds of the customers in Australia. ‘CAN’ campaign was launched having a big idea in the mind of the bank. This brand positioning campaign was launched in 2012 and won an award. This campaign ran with the motive to inspire the customers to move forward and be strong to not to fall down because of their low financial position. The thought of the campaign was ‘When you believe you Can, you Can’. Three letters ‘CAN’ encourage the people of Australia to [pursue their goals. This brand strategy was marketed by televisions, digital media, in cinemas and through Social media (CHRISTENSEN, 2014). Society: the society will be benefitted from the campaign as it motivates people to move ahead in life and to not to get depressed even in low financial conditions. It builds the relationship of communities with the bank and this reinvented branding for societies. It helps in developing personal relationships between the banks and the customers which brings personal touch and faith in the customers on the bank. It also brought transparency in the transactions taken between customers and bank. This benefit will receive during and after the purchase as the purchase experience will become smooth and the post purchase satisfaction will provide smoother experience to the customers of bank. This branding strategy raised the standards of the services and empowered the customers. It basically focussed its attention on the three letters ‘CAN’ which meant that customers should feel that they ‘CAN’ with the Commonwealth bank. ‘CAN’ is an attitude which should get reflected in the customers of the bank (CHRISTENSEN, 2014). Virgin Airlines: Virgin airlines are a second largest airline company of Australia which is a company of Virgin Group. It operates in around 29 cities and has developed a strong brand image with the help of many brand strategies. Like Virgin Australia establishes itself as a stylish brand. Through the advertisements and promotions Virgin airlines showcase that how they are different from their competitors and how they provide different experience to them. The biggest challenge for every airline analysis brand is to meet the costs and virgin realised that by making a difference, by focussing on the customers, they can give valuable and memorable experiences to them and can also meet the objective of the organisation i.e. to satisfy the customers and to earn a handsome amount of profit. The biggest competitor of Virgin airlines Australia is Quanta’s which is positioned as a very old and experienced brand so Virgin here took an advantage as positioned itself as a young and fresh airline company. Advertisement of virgin also shows that the brand gives a fresh and young feeling to the visitors (research, 2014). Customer: Customers will get a new exciting experie?nce with Virgin Australia as it provides latest technology experience, new and smooth facilities. Virgin Australia engages with the travellers through a guest relations team which communicates with the customers before, during and post flight to know inform, provide service and to take feedback from the customers. Government: Government is another stakeholder of Virgin Australia and both get engaged through the regulations which are made for the airline company to follow and operate. There are advisory groups and forums which establish relations between the two before, during and after the operations take place. Coca Cola- Coca Cola is a food and beverage company which is leading in its own sector. It owns the famous brands like Coke, Fantail, Thumbs Up, Capri- Sun and many more (Cola, About Us, 2016). Coca cola has its business operations all over the world and it runs ‘One Brand’ strategy where all the product varieties of coca cola like Diet Coke, Coca Cola Zero Sugar, Coca Life and other variants are promoted with different characteristics explained in a single advertisement of Coca Cola. This helps and assists the brand to promote all the products together. Over the years, consumer’s tastes and preferences changes and so Coca- cola has also changed its style of promoting the brands it owns (Cola, 2016). This strategy is also known as Umbrella strategy where four different brands of Coca Cola are promoted under one name or umbrella Coca- cola. This provides a wider choice to the customers and helps the company to make people aware about all the variants in a single name. This strategy will feature all the variants in a single advertisement of Coca Cola and the packaging of the products will include the features and benefits of every variant. The colours of the variants will be different to distinguish but the packaging and the bottle will be of same sizes and designs. The brand doubled its marketing funds to make people aware about the new variants like Coke Zero. The brand also takes part in the sponsorships of big events like Rugby World Cup (Moth, 2013). Through this strategy, the brand will get a fresh image and also all the variants will be promoted globally. Consumers: the consumers get different variety of products and through this campaign they will be made aware about different products. Customers are provided with variety through advertisements, social media, and local websites and through surveys. The company has dedicated customer service team where the customers are allowed to contact the company for any query or assistance. Company is getting engaged with the customers through this brand strategy (Radebaugh, 2010). It believes in establishing collaboration with all the stakeholders by providing the good returns to investors, by adopting eco friendly practices to the environment and by providing good working conditions for the employees. Zara: Zara is a fashion apparel and accessories brand which promotes its brand through different strategies. Zara is successful in raising its brand by adopting different brand strategies like one of the brand strategy of Zara is to offer latest fashion brands at low cost to consumers. The brand brings new fashion in its clothing lines every now and then. This clothing company is basically of Spain whose funder is the second richest man in the world (ZARA, 2016). Zara has an unconventional business model where the company keeps low stock but brings new collections often and its restocks its collections almost twice a week which inspires and attacks the customers to visit the stores very often and it also brings more chances of purchase as the shopper feels that the product will be soon out of the stock. This brand strategy gives double profits to the brand as it is beneficial for the company because it is boosting sales for it and it is also beneficial for the customers because they get latest updated fashion research apparel. This business model of Zara has changed the face of the fashion industry (LUTZ, 2015). Consumers: The loyal consumers are the most important stakeholders for Zara. During purchase and post purchase the customers of Zara gets excellent collection of fashion clothing which provides satisfaction to the customers. Society and environment: Zara trough its operations, focuses on the society as a whole by doing the CSR activities. Zara promotes the eco friendly strategies which also protects environment. The company use paper bags and not the plastic bags which show it is concerned for the protection of environment. The bags used by Zara are biodegradable which can be seen from the d2w logo on the bags of the company (Radebaugh, 2010). 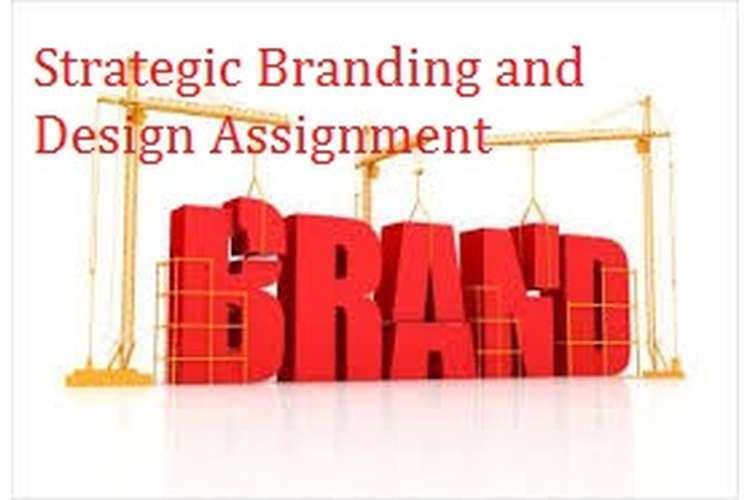 It can be concluded that the branding strategies of the big brands which are discussed in the assignment are made keeping in view the customers, society and other stakeholders. Every brand has its own brand strategy which brings success for it. In the banking sector ANZ bank can adopt strategies like mergers or acquisitions with other banks for better coverage of market. It can also engage in the CSR activities like Zara to build good relationships with the customers and communities. To keep up to date with the customers, ANZ bank can adopt a brand strategy which gives a fresh feel like Virgin Airlines has adopted. Every brand can develop the strategies which provide maximums satisfaction to the customers and employees, maximum return to investors, good relationships with the government and communities. Kotler, P. (2013). Principles of Marketing. Pearson Education Limited. Radebaugh, e. a. (2010). Business and stakeholders.